We work with business owners, to ensure they optimize the value of what is often their most valuable asset – their business. Everyone will eventually leave their business and mistakes can be very costly. Whether the goal is to sell to an outside party or transfer to family or employees, there is only one chance to get it right. We develop Exit Plans that enable you to leave their business to the successor you choose, for the price you want, at a time you pick. Our services are based on a seven step process that starts with establishing the exit objectives. We then take you, step by step, to the end goal; the sale of the company and the preservation of the resultant wealth. According to a recent survey, over 50% of business owners with company revenues of over $1 million, are currently considering a business exit. Separate studies have found that only one in four businesses put up for sale will actually sell. With this abundance of good companies and the aging of the baby boomer generation, there will be a surplus of good businesses in the market place. Only those that plan their business exit are likely to be successful. We start by reviewing your exit objectives and building the Exit Plan. 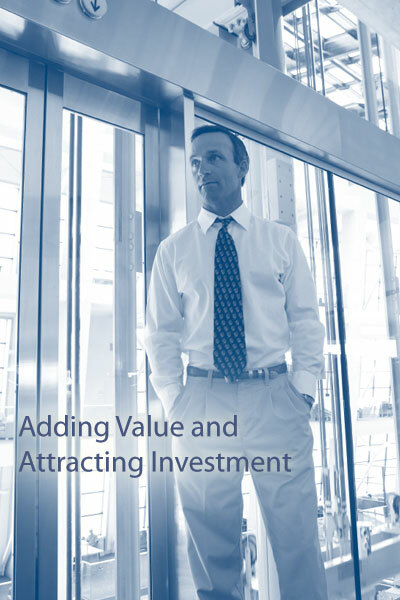 We then develop a 'Value Enhancement Program' focusing on the creation and enhancement of the company’s value drivers. When the time comes to sell, we work with tax, legal and M&A intermediaries to obtain as high a price as possible, while ensuring that any wealth created is preserved and protected from a legal, financial and tax perspective. We can add considerable value to a business in as little as six months, but in order to maximize the exit value, planning should take place three to five years out. For those transferring or selling the business to employees or family members, the issues can be extremely complex and risky. A lack of planning often results in failed businesses and a collapse in wealth for all involved. Even those that manage the business transition successfully, often pay 30 to 100% more in taxes than they need to. Effective management of the commercial, legal, tax and financial aspects of the sale, can result in higher returns, paid off over a shorter period of time, while reducing the burden on the succeeding employees or family members. Value can be added in as little as six months, but in order to optimize the exit process, particularly from a tax management perspective, a timeframe of five years and up should be considered. The opportunity to acquire a business is an exciting and appealing proposition for any management team. However many qualified teams have failed to cater for changes in M&A market conditions, struck unfavorable deals or taken their eye of the business during the transition stage. We work alongside management teams to help negotiate favorable agreements, find investors and manage the transition phase. Minimize tax implications of a sale by between 30% and 100%. Put a continuity plan in place if the unexpected happens to you. Many other tricks of the trade that will help you meet your exit objectives.